In 2014 we started our latest investment of £5 million for our new production facilities at Tachbrook Park, Warwick. 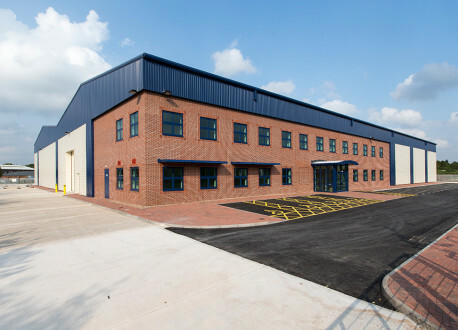 Leeson Polyurethanes now occupies a total site of approximately 5 acres, employing 33 staff at our new headquarters. Steady growth, up 20% in 2013, has allowed this significant investment that will enable us to continue to deliver high-performing and innovative products to our customers. The new facility, including tank farm expansion, an extended range of reactors, additional high shear mixers, a wide range of reactors and an additional weighbridge; have increased total available capacity to over 10kT, across a wide range of polyurethane products. Customers will also be able to benefit from our new laboratory facilities that have been expanded to include a Customer Training and Demonstration Area. Alongside our dedicated test equipment area with QUV, Instron and Environmental Chamber and a further development and Q/C lab, customers will be able to see for themselves the rigorous testing our products undergo, as well as benefiting from the support our expert training delivers.